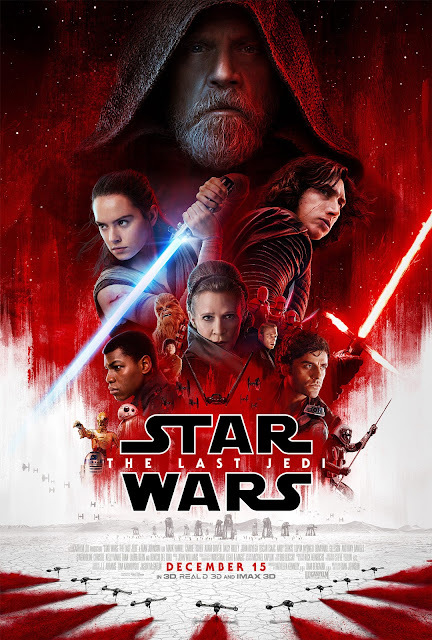 Pittsburgh Underground: Movies That Have Everything: Star Wars The Last Jedi STARTS TOMORROW!!! Movies That Have Everything: Star Wars The Last Jedi STARTS TOMORROW!!! Another Friday is upon us, as is another entry into one of our favorite franchises as Star Wars: The Last Jedi soars into theaters tomorrow - Check out the trailer below! As episode eight begins, so does the journey of Rey (Daisy Ridley) as the story picks up from where Star Wars: The Force Awakens left off - on a mysterious island confronting Luke Skywalker (Mark Hamill) as she steps into the mysterious world of the Jedi. Also returning to the continuing saga are heroes Poe Dameron (Oscar Isaac) and Finn (John Boyega) along with their villainous counterparts Supreme Leader Snoke (Andy Serkis), Captain Phasma (Gwendoline Christie), Gerneral Hux (Domhnall Gleeson), and Han Solo’s murderous son Kylo Ren (Adam Driver). May The Force Be With Carrie Fisher.... Always. 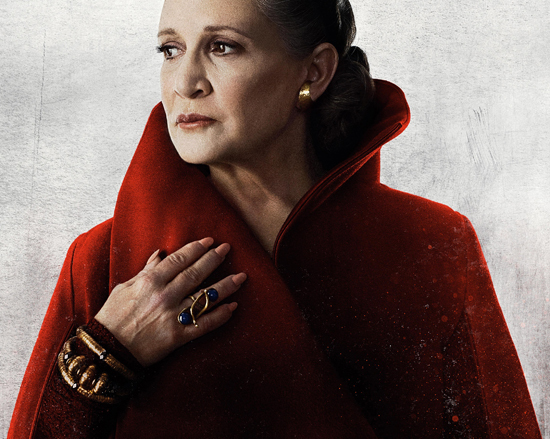 Old favorites return as well from Chewy (Peter Mayhew), C3PO (Anthony Daniels), R2-D2 (Jimmy Vee), Admiral Ackbar (Tim Rose), and Princess Leia played by the late Carrie Fisher in her last appearance on screen. To be honest, the gang here at good ol’ PU has kept ourselves excited, surprised, and charmed by avoiding all spoilers and media hype with every new story that has added to the series dating as far back as the original in 1977 and this latest entry is no exception. With that, the gang at Pittsburgh Underground goes on holiday hiatus, wishing all of our readers well for the the final month of 2017 as we approach a new year. As always, thank you for tuning in - May the force be with you... always! HOLIDAY BONUS: For all of you folks that were around in 1978 (and most especially for those of you that weren’t), enjoy some Wookie Life Day cheer with the Star Wars Holiday Special!